With the announcement of PlayStation VR headsets coming this October, there are many games new, and re-makes alike that are getting the virtual reality treatment. In this article, we take a look at upcoming titles that will immerse you in different worlds that will feel almost too close to actual reality. A horror narrative-driven game by Robot Invader, Dead Secret promises to immerse players in a captivating mystery that will leave them frightened to the core by the virtual reality experience. Available currently for Gear VR, this title is a must play for PlayStation 4 owners when it comes to PSN. Double Fine's cult classic platformer, Psychonauts, is not only getting a long awaited sequel, but a VR side-story experience that takes place right after the events of the first game. In Psychonauts, players take control of the character Razz, who possess psychic abilities, so utilizing these powers for yourself through VR is sure to be a cool experience. This upcoming RTS game by Secret Sorcery Towers will be a PlayStation VR launch title, and it will offer a unique "god-mode" game in which players will control "Peeps" and build their world during the day. At nighttime, however, monsters visit the land and the player must prepare the Peeps to defend themselves and their creations. Originally released in 2001, this first-person survival horror game is currently being remade for PlayStation 4 and VR. The game focuses on students trapped in a Korean school that was once a Hospital during the Korean War. Supernatural events start to unfold, and players must progress through the game by conversations, and sneaking through the school attempting escape from multiple forces that want you dead. Announced at E3 this year, Farpoint is a first-person shooter survival game that takes place in a sci-fi setting. Whilst on a mission to pick up scientists studying an anomaly near Jupiter, players are transported through this anomaly to a hostile alien world. This game will immerse players in an other worldly location, VR bringing them into unfamiliar territory. Debut game by developer Penny Black Studios will give players the VR experience of riding the mythical flying creature of the phoenix. The game's artstyle is reminiscent of picture book illustrations, and the game is drive by a narrative in which players uncover information about "The Author." For anyone who's ever wondered what flying on the back of a giant bird must be like, How We Soar will offer this unique and magical experience. The Batman: Arkham games gave players and Batman fans alike, the experience of being the masked marauder himself. Releasing in October of 2016, Batman: Arkham VR will take this experience one step further by immersing the player fully behind the bat mask. Will you the world's greatest detective, or just some backwater junior cop who's only investigated a snapped toothpick? The popular MMO sandbox game with dinosaurs is receiving the VR treatment for the PlayStation VR. 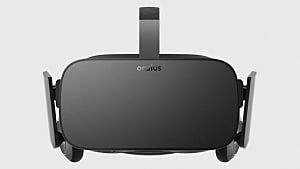 Now players will be able to craft items, make buildings, and tame prehistoric creatures through their VR headsets. This title is sure to be a hit when it re-releases with VR, because who wouldn't want to ride a dinosaur in virtual reality? I can't hear anyone... which is good. 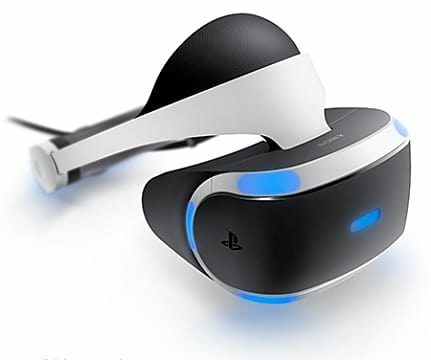 PlayStation VR is set to release October 13, 2016. This list touched on some of the noteworthy games that will be available in VR, but there are many more games out there that will also be seeing a VR treatment. The next few years will surely show a heap of creative, and new, ideas as virtual reality becomes more of a mainstream way of experiencing video games.